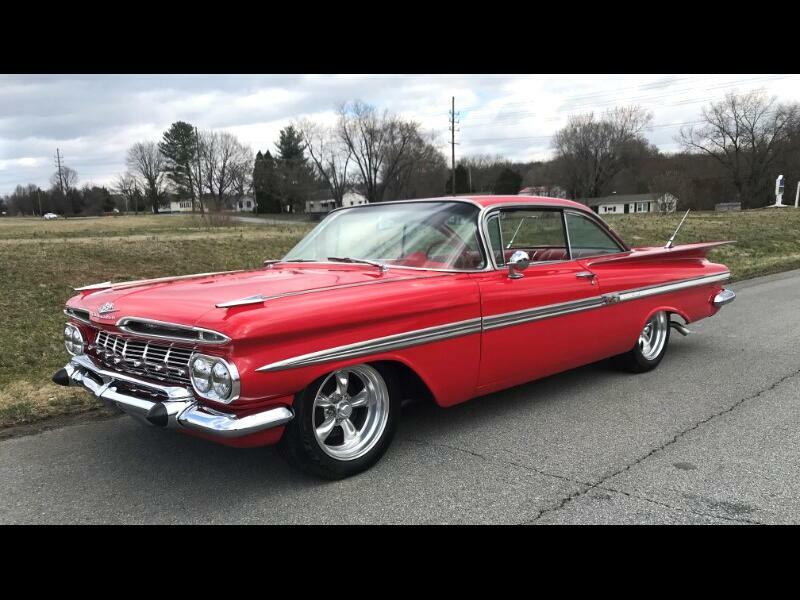 A very rare 1959 Chevy Impala two door hardtop with factory 348 engine, with three deuces, four speed manual transmission, power steering, dual rear antennas, tissue dispenser and more. This is an excellent restoration of a solid southern bodied rust free car with new paint, interior, chrome, emblems, moldings, weatherstripping and more. Super nice car with quality red paint and interior. This car is impressive. Message: Thought you might be interested in this 1959 Chevrolet Impala.